First, our technology actually helps you connect with your employees on a human level. Most employees want to stay productive and contribute to the team. Building an engaged workforce can improve capacity utilization by 10-20%. This is where our Visual Employee Feedback Displays come in to keep the workplace running as smoothly and efficiently as possible. Employees can easily track their performance for all tasks throughout the facility and alert supervisors or engineering if issues arise. The truth is, as a supervisor or manager you can’t possibly be everywhere at once. The Spindle Visual Dashboard enables you to manage more effectively by allowing you to monitor employee productivity in real-time on desktop or on mobile. This means whether you’re at your desk or on the floor you can easily and conveniently monitor the productivity of your facility without having to waste time ‘tracking down’ problems. To put it simply, Spindle gets the right information, to the right people, at the right time. 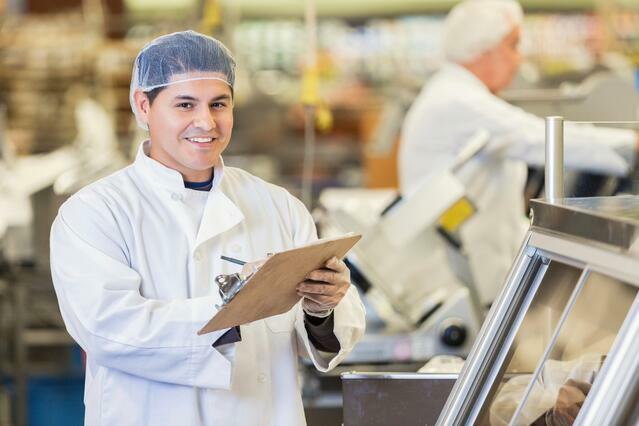 Next, the food packaging industry is fast-paced and continuously growing; to keep a leg up on the competition, maintaining properly functioning equipment and minimizing downtime is vital to success. Spindle allows you to monitor all of your equipment. All in real time, all from your Visual Dashboard. You can analyze the status of your equipment, monitor maintenance and quickly respond to surprises with the prioritization dashboard. From there, you can determine effectiveness of repairs, improve preventative maintenance strategies and plan future projects to address top equipment failures. Spindle also provies you with context and reporting for when production is low, such as when maintenance took place, or product or employees were unavailable. To learn more about Spindle or schedule a demo, give us a call or drop us a line!